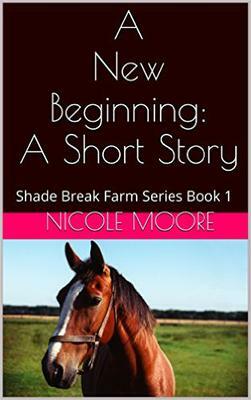 Shade Break Farm (Book 1) follows Sarah, a young girl who has big dreams of becoming a top eventer, and her horse Flynn, an off the track thoroughbred she rescued. The first book is an introduction to the characters. Book 2 will come out next month and be a full length novel! Sarah has dreamed her whole life of owning her own horse. When her trainer rescues an off the track thoroughbred from slaughter and gives him to Sarah, it seems as if all her dreams have come true. But does the quirky bay have what it takes to be a champion? Or will his checkered past ruin their future forever? Just wanted to let you girls know that the second book in the series is now out, it's called Kick On! and can be found on Amazon!